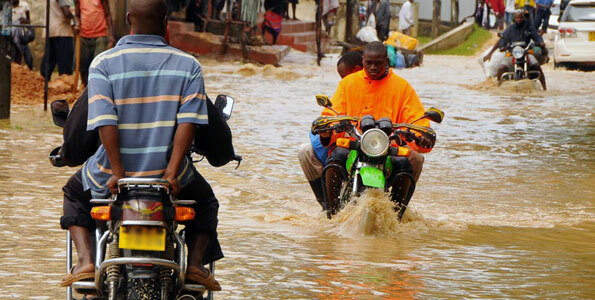 don’t worry about the heavy rains; the government has got this! NOW that we have gotten the Cabinet reshuffle out of the way, I expect this week we will see a Press Conference addressed by the government on one key issue that we were all aware would arrive and have certainly been planning for as certainly as we have purchased umbrellas, rain coats and gum boots for it. The Prime Minister, leader of government business in Parliament, will by now (months ago!) have reviewed everyone’s proposed plans and gotten them together into one comprehensive approach by the government to the impending rains. This being the main season of rains, on which our entire economy is practically hinged, the matter will have been taken with such seriousness that not even the reshuffle of positions will thwart the actions planned. Ministers arriving fresh into their dockets next week will align themselves to the plans so painstakingly put in place by their predecessors, in order not to cause delays – because nobody can stop the rain from falling. The Ministers of Agriculture, Animal Industry & Fisheries will continue (or start) a drive amongst farmers and wannabe farmers like myself on what to plant and when, and will issue tips on growing food crops during the rains. Our Ministers for the regions – Karamoja, Luwero, Bunyoro, Northern Uganda and Teso, will tag along fully to champion both the agricultural objective and solutions around long-term water catchment and the possibility of channeling water from places such as Bududa to Karamoja so that instead of landslides we have improved agriculture. Announcing that last innovation will be the infrastructure Ministers – Works and Transport, Lands, Housing and Urban Development, as well as Water and Environment – because their dockets will have collaborated on this work. Of course, they will also tell the nation about other stuff done in preparation for the heavy rains; such as road maintenance works to avoid damage caused by water run-offs, housing maintenance to avert rain damage, and more against the other environmental hazards occasioned by unmanaged heavy rains – for instance, landslides and flooding. Their planning will have been backed up by the Ministry of Disaster Preparedness and Refugees, teaming up with the Ministry of Gender, Labour & Social Affairs to put some of the refugees to work (those not incorporated into food growing programmes by the Agricultural guys working with the Ministry of Lands to allocate large tracts for the refugees to engage in large commercial programmes). Of course, the Ministry of Health people will have already gotten in there first, to ensure that nobody picks up or spreads diseases – which are known to spread rapidly in wet, humid conditions – but more importantly because a healthy population means we have a strong workforce. Speaking of the Ministry of Labour, their interest will stretch beyond just providing agricultural labour; the Minister will detail to the world (not just Uganda, of course, since we are also in the business of process outsourcing these days – google that – and the Information Communications Technology people will see to that) all the work it has on its plate. This Ministry will outline the steps it has taken to help employers keep employees at work in spite of the rains – including initiatives conducted jointly with the Ministry of Trade, Tourism & Industry people to subsidise the cost of umbrellas, raincoats and gumboots so that “Rain” is not used as an excuse for late arrivals at work. (And they will have the Ministry of Public Service on a tight leash here as well). The same tactics will be deployed, no doubt, by the Education and Sports people in ensuring that children don’t miss school with the same excuse; but they will also tell us that they have liaised with the infrastructure ministries to get all schools to do maintenance work on their structures so that rain doesn’t get through buildings or blow roofs away, if not worse. Productivity will be at such an all time high; even the Tourism people will be promoting features enhanced by the rains – the waterfalls, lakes, flourishing flora and fauna, rafting, fishing and adventure in lush, tropical forests, all the way to adrenalin-filled boda-boda-in-the-rain trips! Productivity will be such that the Minister of Energy and Minerals will be relieved to announce that the additional supply of hydro electric power occasioned by increased water supply due to the heavy rains, is available and being consumed by all the industry and commerce taking place. While all this is being unveiled, the Ministers with the widest smile will probably be that of Finance, Planning and Economic Development. You see, having seen the potential of this weather situation a long, long, long time ago, these will obviously have planned it to smithereens and helped coordinate all their colleagues into this well-oiled machinery that we are visualising now, in such a manner that the budget to be announced at the tail end of the rains will be boosted quite considerably! And, on the sidelines but prominent, will be the ones assuring us that all is safe – Internal Affairs, Defence and Security; right from ascertaining the situation is so under control that burglars won’t be allowed to use the rain as cover to break into our homes, to covering the borders so well that people can focus on their agricultural activities without fear of terrorists sneaking through. The task of revealing all this, neatly packaged in formats to be circulated by print, broadcast and even flyers and posters and mobile phones, will be happily undertaken by the Information and National Guidance Minister. After that, the ball is in OUR court, we ordinary people. shoeless in Kampala while wondering: exactly how do other people afford these shoes?